Barry L. Houser is the Associate Director of Bands, Director of the Marching Illini, Director of Fighting Illini Athletic Bands, and Clinical Assistant Professor in the School of Music at the University of Illinois at Urbana-Champaign. His responsibilities include conducting the Hindsley Symphonic Band, the Athletic Bands consisting of the Volleyball Band, Basketball Bands, and the Nation’s Premier College Marching Band – the 375-member Marching Illini. In addition, he teaches undergraduate courses in instrumental conducting, marching band procedures and other courses within the School of Music. Houser is the faculty advisor for Phi Mu Alpha Sinfonia, Kappa Kappa Psi and serves as a Leadership Coach through the Illinois Leadership Center. Professor Houser’s teaching experience encompasses both extensive public school and university experiences. Previously, Houser has served as Acting Director of Bands, Associate Director of Bands, and Director of Athletic Bands at Eastern Illinois University. A native of Indiana, he was Director of Bands and Fine Arts Director at NorthWood High School in Nappanee, Indiana, where his bands developed a national reputation. Prior to NorthWood, Professor Houser served as the Assistant Director of Bands at Buchholz High School in Gainesville, Florida. Bands under Houser’s direction have performed in the Macy’s Thanksgiving Day Parade on several occasions, the NBC Today Show, the ISSMA State Marching Finals, and the Indiana Music Educators Association State Convention. Other performances include the Indianapolis 500 Parade, the Target Thanksgiving Day Parade, the Outback Bowl Parade and Half-Time Show, the Hollywood Christmas Parade, the Washington DC National Memorial Parade, a variety of NFL halftime shows, Music for All events, a tour of Ireland and the Dublin St. Patrick’s Day Parade, and performances with Maynard Ferguson, Dallas Brass, Canadian Brass, Gregg Potter of the Buddy Rich Band and many other guest artists. In November of 2015, the Marching Illini was featured in the 89th Macy’s Thanksgiving Day Parade in New York City. 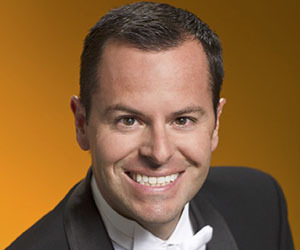 Houser maintains an active schedule with engagements throughout the United States as a guest conductor, clinician, and adjudicator. He has worked with the Macy’s Great American Marching Band and has helped lead the Mass Band for the Chick-Fil-A Bowl in Atlanta, Georgia. In addition to performance engagements, he is an ongoing contributor to the Teaching Music Through Performance in Band series and the marching band textbook “The System” published by GIA. Professor Houser serves on the Board of Directors for the National Band Association, the College Band Directors National Association Athletic Band Committee, and the All-Illinois Junior Band. In his spare time, he serves as President and Director of the Smith Walbridge Clinics, the first and one of the largest marching band – leadership camps in the country. Houser holds professional memberships in the College Band Directors National Association, World Association for Symphonic Bands and Ensembles, National Band Association, NAfME, Golden Key National Honor Society, Lambda Chi Alpha Fraternity, Kappa Kappa Psi International Band Fraternity, Honorary member of Tau Beta Sigma, Phi Mu Alpha Sinfonia, and has been honored by the Indiana General Assembly and the US House of Representatives. He is the recipient of the Indianapolis Star Academic All Star Award, the WNDU Channel 16 Excellence in Education Award. Most recently, he was inducted into Phi Beta Mu, the International Bandmasters Fraternity.